We’re frequently reminded about how we should be eating at least five portions of fruit and vegetables a day. But aside from the nutritional benefits, there are also other good reasons to hoard fruit – using skin, peel and fruit. This article summarises just a few ways that everyone can make their fruit go that little bit further. 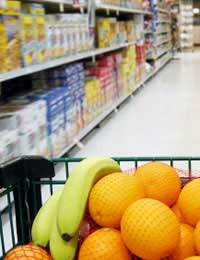 Bananas are well known for having high fibre and potassium levels. Whilst this is a fantastic addition to your daily diet, bananas – particularly their skins – are also a great nutritional addition to your garden compost heap. The addition of banana skins helps to boost potassium and phosphorus levels in the compost, which in turn helps to promote healthy, strong plants. Banana skins can also be used as a fertiliser or mulch in the garden; one common use for the skins is also to bury them just beneath the surface of the soil under rose bushes. This is because the banana skins encourage stronger, longer blooms. However, perhaps one less well-known use for banana skins is as a shoe polish or shoe shine. Commercially produced shoe polish can prove expensive, and is thought to have a certain level of toxicity. So if you’re tempted to opt for a natural alternative, the first is to go to your fruit bowl, eat a banana and save the skin! To polish your shoes with banana peel, rub the soft inside of the banana skin over the leather before buffing the shoe with a lint-free cloth or towel. Remember that if you’re tempted to give ‘banana polish’ a go on your leather shoes, always remember to do a spot check first before shining the whole shoe. Oranges are rich in Vitamin C, and make a refreshing snack or dessert. However, next time you tuck into an orange, don’t throw away the peel! Pureed orange peel makes for a fantastic ant repellent; simply take a measure of orange peels, add a splash of warm water and blend in a food blender. The puree can be placed close to the ants’ residence, and will drive them away to pastures new. Every home should have a few lemons in the fruit bowl! Not only does the humble lemon have a plethora of culinary uses, but also makes for somewhat of a wonder product in the home. Here are a few ways to use up any leftover lemon juice and peel. You might be surprised to learn that lemon juice can be used for a variety of beauty treatments – try soaking your fingertips in 8 fl oz of warm water and the juice of half a lemon to soften cuticles. The peel of a lemon an also be used to clean and buff nails. The acidic nature of lemon juice also makes for an effective spot and blemish treatment when applied several times a day. Lemon juice is also one of the most effective household cleaners available; it can be used to tackle grease, grime and bad smells. When combined with borax, it makes for a fantastic stain remover. Remember that you can store partially-used lemons in the fridge – when wrapped in tin foil they can keep for a considerably long time. And crucially, remember that all leftover fruit flesh or peel can be added to your compost heap, making it even more useful!